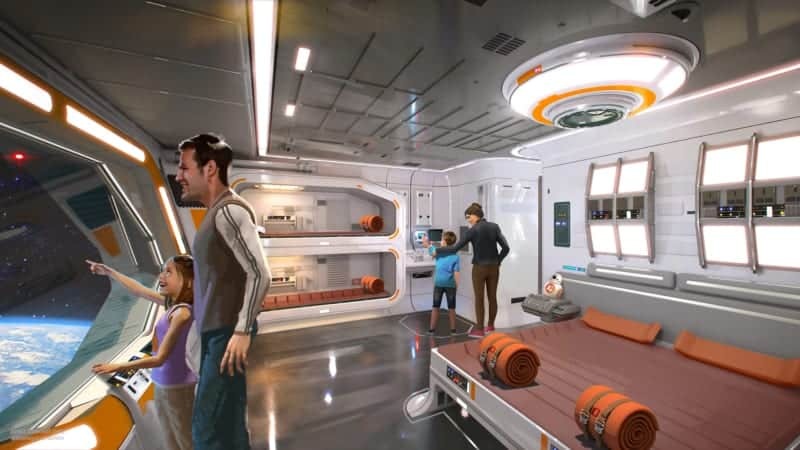 Of course the premise of the Star Wars Hotel is that you are boarding a starship in outer space for your journey and so when guests arrive, they most likely will be seeing the outside of a spaceport of some sort. What is the first thing you have to do when entering a spaceport before your flight? Go through security of course! Your bags will pass through the X-Ray machines, while you will go through metal detectors. Why is this necessary you might ask? 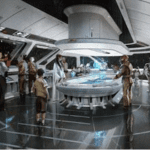 Well once in the Star Wars Hotel, your trip to Galaxy’s Edge needs to be seamless without breaking the atmosphere and going through security in the park. That means it has to be taken care of ahead of time, and once you do, you’re set. Only question here is if it will actually bring you up a level, or more likely imo, simulate going up and then open up on the same floor you started on. 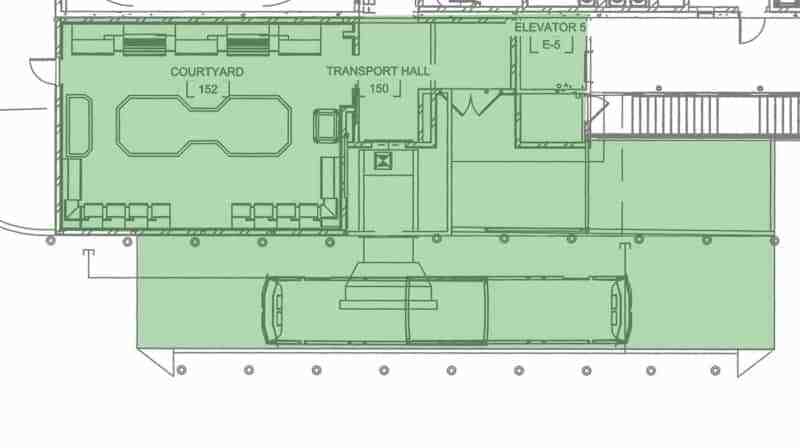 Since these plans are only for the first floor of the Star Wars Hotel, I’m going to say that’s the case. Once you get out of the elevator, you go through some more themed rooms (maybe it’s here you do your official check-in?) until you reach the “Main Concourse” where I can assume there will be plenty of windows giving you a look into the vast expanse of space and letting you know where you are! Once there you are going to find a table service restaurant (marked TSR), with a buffet. 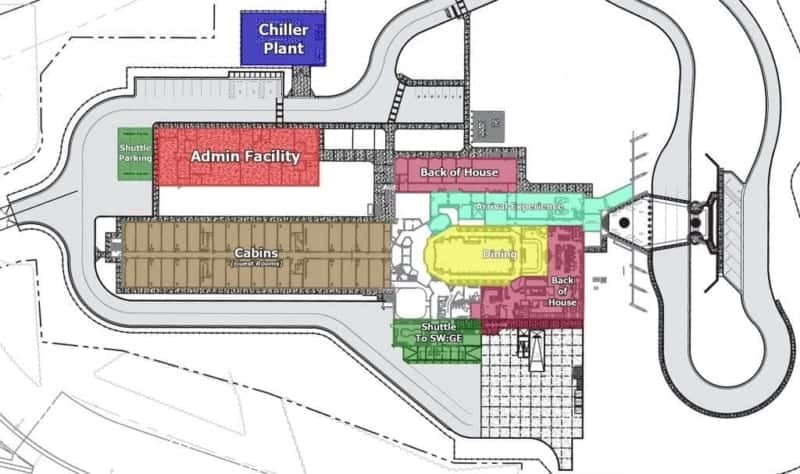 Since the Star Wars Hotel is being built more on the Disney Cruise Line model than the traditional Walt Disney World Resort Hotel model, this will probably be more similar to the former. Watch out Cabanas, you have company! 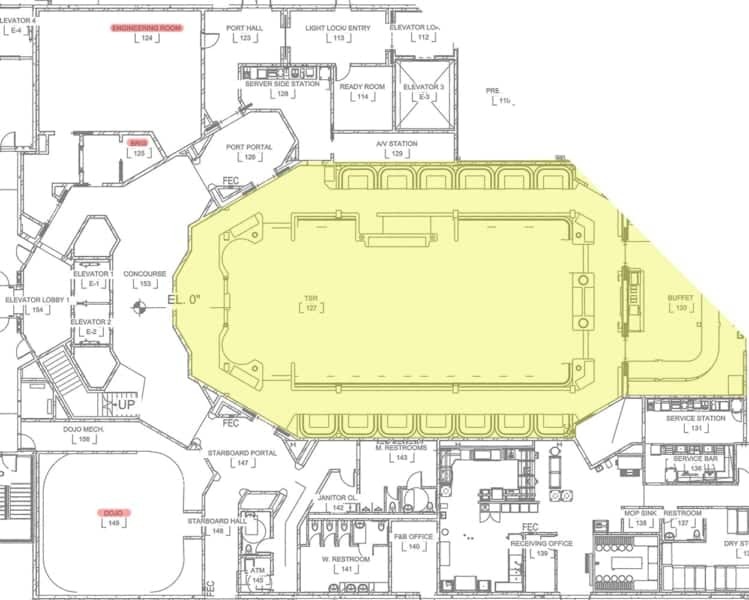 We don’t know how many restaurants will be in the Star Wars Hotel, but I would think at least one more located on the second level. Probably something more upscale, and a nice lounge wouldn’t be bad either! There are some other rooms mentioned in the plans like “Dojo,” “Brig”, and “Engineering Room.” No clue yet about what these are, but they could be used in the heavy storytelling aspect of the experience and places guests go on missions. 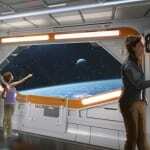 They also could quite possibly hold entertainment venues, so we’ll have to see. 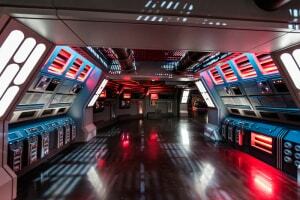 One the first floor we can count 32 standard-size cabins like in the concept art. Besides the standard cabins, there will also be 2 1st Class cabins which will be bigger, and with more amenities. 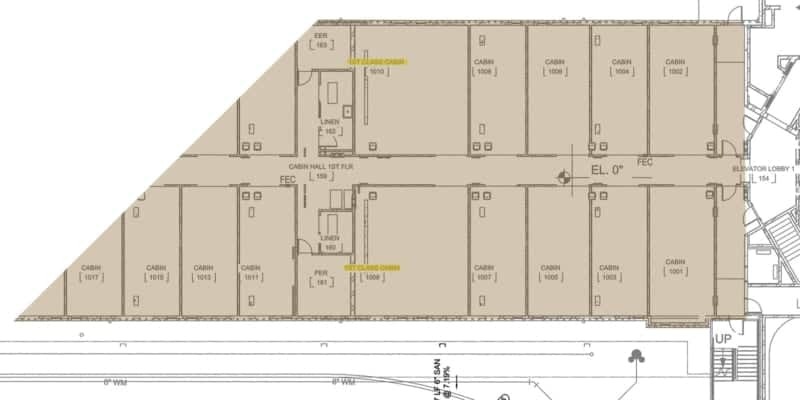 You can can count on at least that many cabins on the second floor, but possibly more. 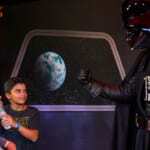 That means at minimum there will be 68 rooms in the Star Wars Hotel, with probably no more than 100 fitting in there. 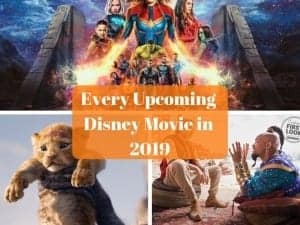 This is quite a difference from normal Walt Disney World Resort Hotels and really emphasizes how the storytelling part will be so important and how this will be a much more intimate experience than you’ll find elsewhere. 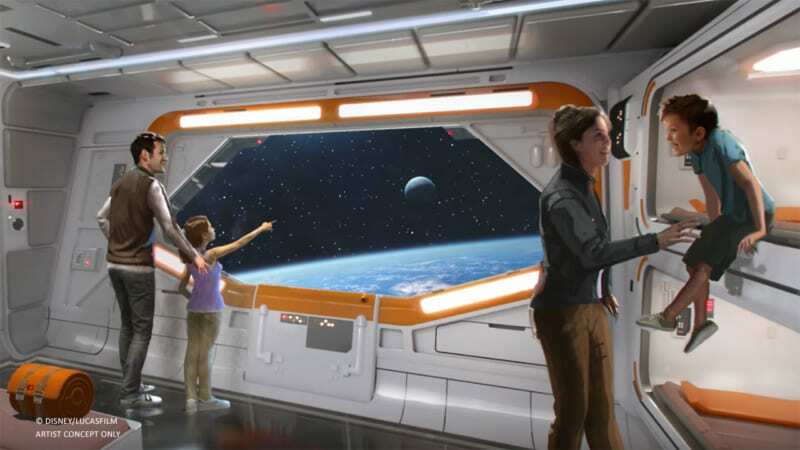 We’ve known for some time that the Star Wars Hotel will have seamless transportation to Galaxy’s Edge, and we’ve speculated on what that is going to be like in the past. Now after these plans, we see a bit more what that will be like. 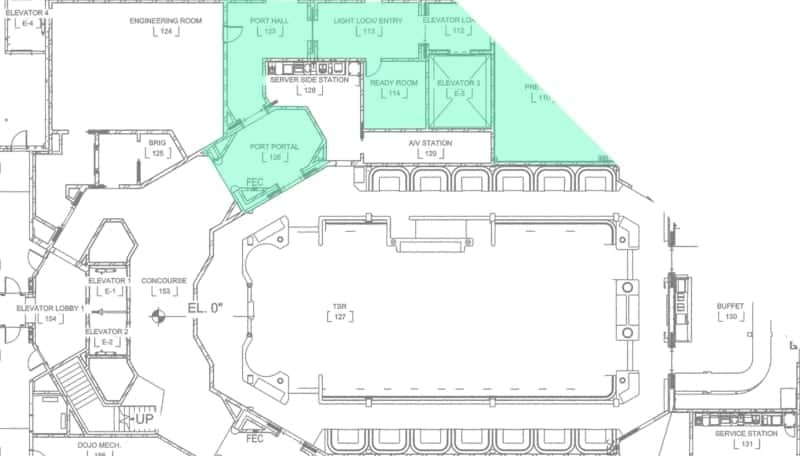 This area is marked: “Transport Hall” and it’s all the way to the southwest part of the hotel. While I was hoping for a more futuristic transportation method to Galaxy’s Edge, it looks like guests will get there by some kind of bus system. There will be some kind of bridge to pass through first, but I’m wondering just how they will keep it to the story you’re in. I though some kind of covered, futuristic tunnel would have been a cooler idea, but we’ll have to see what develops. 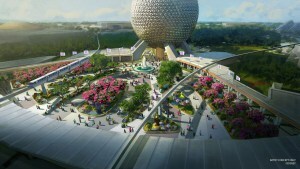 So that’s the newest info on the Star Wars Hotel after taking a long, hard look at these plans. What is your favorite part of the experience?